Christ redeemed us from the curse of the law. He alleviated the curse upon us by dying on the cross. The Jewish people saw him as cursed by God. Isaiah does not say that Jesus was punished by God. We considered him punished by God. Paul does not say that Jesus was cursed by God. Jesus became a curse because of the way he died, not because Jesus took our place. 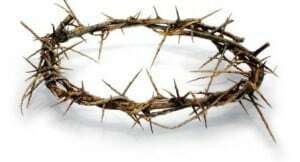 The death of Christ on the cross was a death of curse: “Christ has redeemed us from the curse of the law, being made a curse for us: for it is written, Cursed is every one that hangs on a tree” (Galatians 3:13). If you are person feel cursed, be consoled that you believe in a Jesus-Son of G-d-who became a curse for us. 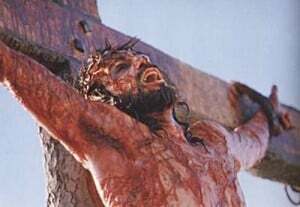 The Hindu Vedic Literature shows us at least ten important features of the Prajapati-sacrifice which was are completely fulfilled in Jesus’ crucifixion and resurrection. The Vedas were written in Sanskrit, between the period 2000 and 1200 B.C. The Prajapathi Sacrifice portrayed in the Vedas is literally fulfilled in the real Prajapathi Sacrifice of the Lord Jesus Christ, such as sinlessness, the rejection, the silent suffering, trying to the sacrificial pillar, the shed blood, unbroken bones, returning to life. In the Vedas, the birth of our lord and savior Jesus Christ, and the good news of the gospel are revealed in the Upanishads. Â He “gave himself up for us, a fragrant offering and sacrifice to God.” (Ephesians 5:2).